Two Quinnipiac Bobcat commits helped lead their 15 under team to Bauer Motown Classic which featured several of the top 15-under teams from across the United States as well as a Canada. The Selects Academy 15 under team at the South Kent School went 6-0 in the tournament with four shutouts. The talented team has two players currently committed, with both of them committed to Quinnipiac but more are likely to commit to schools down the road according to sbnation writer Jeff Cox. "@JeffCoxSports Congrats to Selects Academy 15U for winning Bauer Motown Classic. Talented team with a few already committed players and more to come." Selects Acadamy 15 under forwards Ethan Phillips and PJ Fletcher are both off to good starts for Selects. In 21 games played, Phillips has 12 goals and 16 assists on the top line while Fletcher in 24 games has 7 goals and 13 assists. Fletcher was the most recent player to commit to Quinnipiac this past week. Quinnipiac needs to treat the Selects Acadamy at the South Kent School as their own personal Shattuck's St. Mary's as a lot of talent is heading there from the United States, Canada and even Europe. 1998 forward Khristian Acosta (he has signed letter of intent already with Quinnipiac) is off to a sizzling start for the Wilkes-Barre/Scranton Knights in the North American Hockey League. 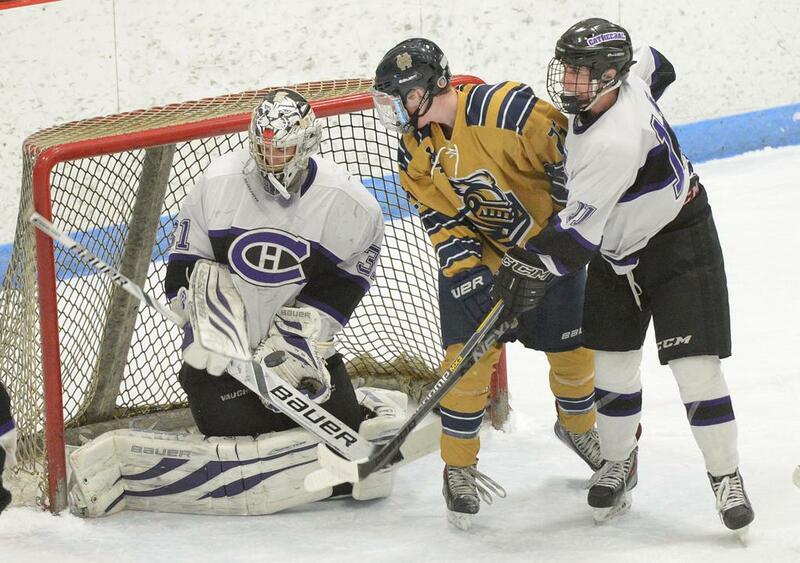 Acosta recently made a move to the Tier II hockey league from the Tier III USPHL Premier division. He leads the NAHL in points per game at 1.50. 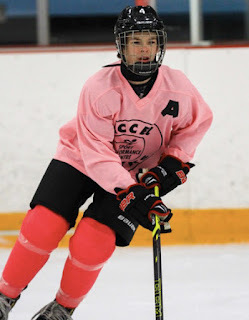 Only playing in 8 games so far he has 6 goals and 6 assists playing on a line with fellow Middletown, New Jersey players Matt Kidney and Mike Gelatt who are both uncommitted. Moving to the NAHL has been a very good move for Acosta as he is playing against better competition than he did in the USPHL Premier division. 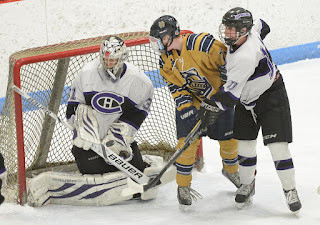 1999 goaltender Keith Petruzzelli who is playing for the Muskegon Lumberjacks in the USHL is off to a good start. In 7 games he has a 5-1 record with a 2.41 GAA and a .917 save percentage. He recorded his first shutout of the year against the Bloomington Thunder on October 21st making 32 saves in the win. He is a currently listed as a B-rated goaltender on NHL Central Scouting Preliminary List that came out in early October. Late 1998 defenseman Zach Metsa leads the Merritt Centennials (BCHL) in assists with 12 (tied with Cade Gleekel (St. Lawrence commit) in his first year in the league. 6 of his 12 assists have come off the power play for Merritt. He is also draft eligible for the first time in 2017 but did not make the NHL Central Scouting Preliminary List. 1996 defenseman Joe O'Connor, a Hamden, CT native has yet to play this season for the Brooks Bandits (AJHL) due to an upper body injury. 2001 defenseman Dom Fensore (PAL Junior Islanders 16U) was rated as a B level defenseman that should get an invite to the U.S. National Team Development Program evaluation camp according to sbnation's Jeff Cox in his recent article listing the top US born 2001's. 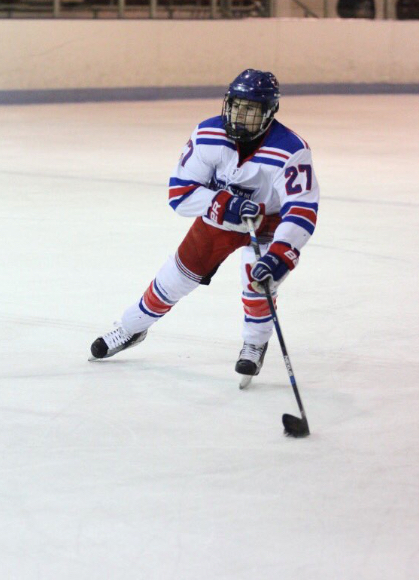 Recent commit, 2002 forward Jacob Quillan is playing up a year in major midgets as a 14 year old for Steele Subaru. Most of the team is 2000's and 2001's. In 10 games played he has 4 assists. He is the third player from Nova Scotia to commit following 2000 defenseman Peter Diliberatore (Salisbury School) & 2001 forward Ethan Phillips (Selects U15). I highlighted Quinnipiac's recent trek into Nova Scotia in my article last week. Quinnipiac has 8 commits born from the year 2000 or later and they currently are the only team in the country with 2 2002 born players verbally committed.